The Festival Rando Alpine - a successful first! 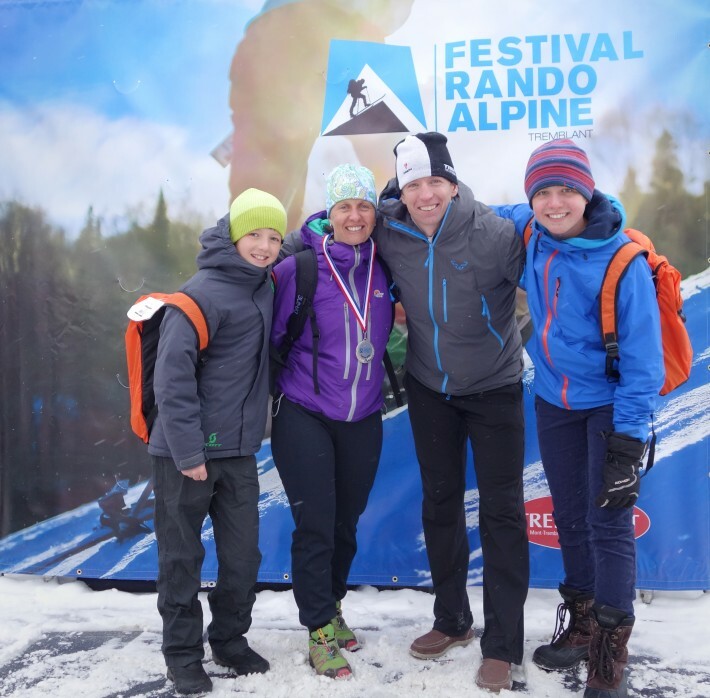 The first edition of the Festival Rando Alpine was held last weekend and the event was a great success on all fronts! Touring skiers of all levels were welcomed by a fresh layer of snow with good weather conditions and altogetherover175 people participated in eight different expeditions. These treks were separated into five events: initiation outings, guided hiking trips, tour of the mountain, the Traversée Nocturne and a timed short track race. 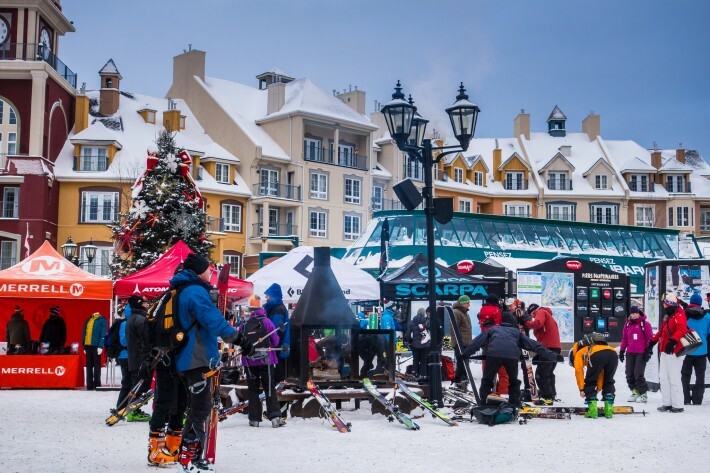 At the Base Camp located within the Place des Voyageurs, participants had the opportunity to meet representatives from several leading brands; there to offer advice, products and services. Present were the following brands of clothing and accessories: Arc’teryx, Columbia, Merrell, Oakley, Peak Performance and The North Face. The equipment and accessories booths were occupied in turn by Atomic, Black Diamond, Dynafit, Salomon, Scarpa and Burton. 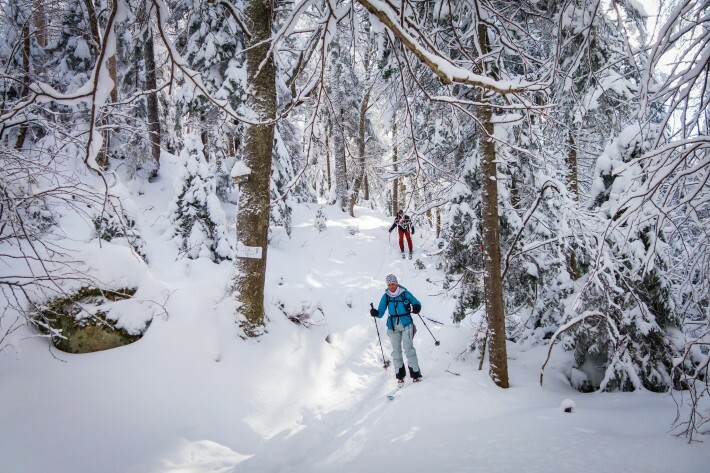 The initiation outings, during which participants could discover the equipment and learn the basics of ski touring, were quite popular with novices. And they have certainly managed to convert more than one to the sport! With their experience and patience, volunteer guides were able to not only give helpful advice, but also share their love of alpine ski touring. Saturday night’s Traversée Nocturne was undoubtedly the most successful experience of the weekend! 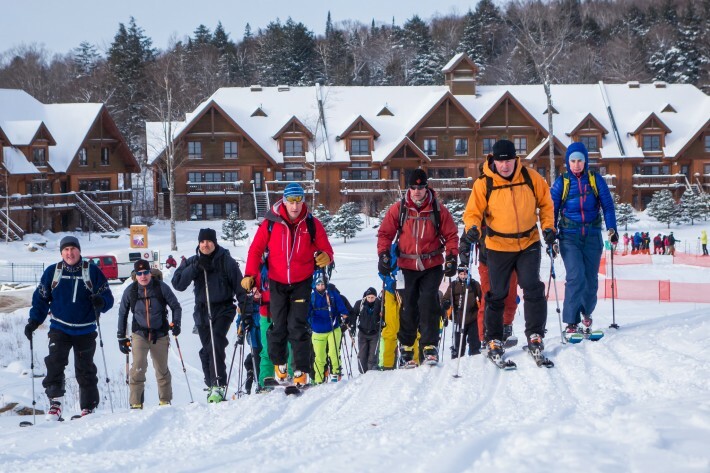 As part of the festival’s unique and exclusive event, 140 participants and guides climbed the summit of Mont Tremblant, departing from the base of the south side. 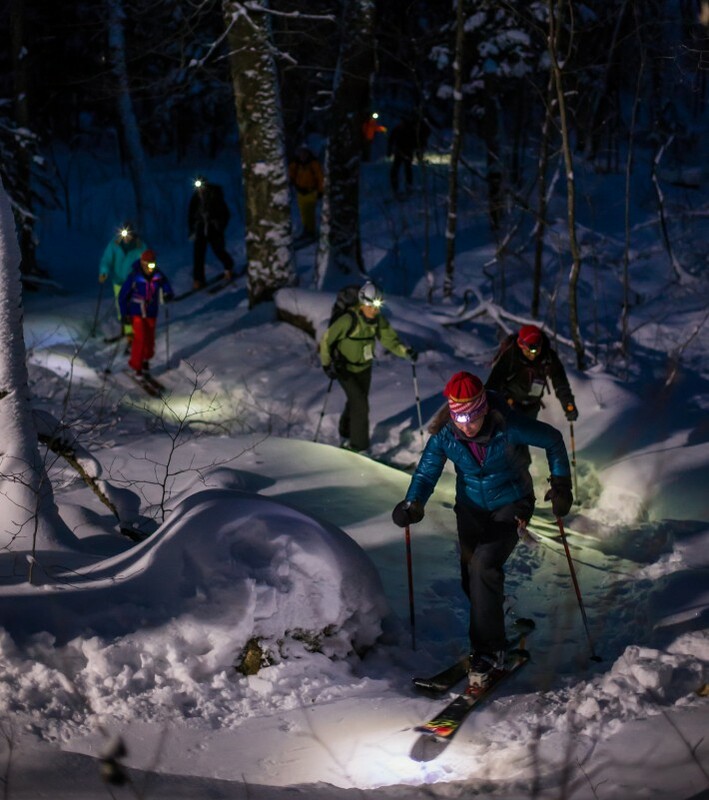 The excursion took them all the way to the Fourchette du Diable at the base of the north side, where 160 people were received with a fondue dinner and a presentation by Simon St-Arnaud – athlete and event spokesperson. 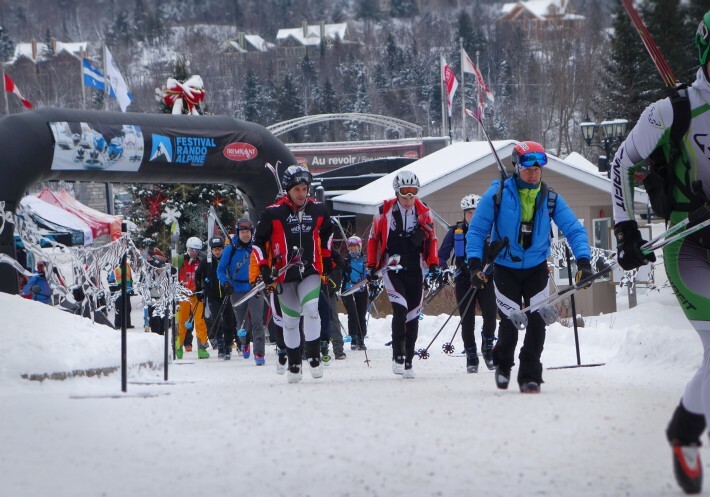 On Sunday, the alpine ski touring short track race saw strong performances from all participants, young and old! Open to all, this event had in its ranks the two Quilliams boys, aged 11 and 12, as well as Patricia Gobeille, 64, the eldest of the race. Separated into five categories, the 24 participants had to trek the greatest possible distance within two hours on successive laps of a 3 ½-km looped track. Thank you to all who contributed to the success of this memorable first edition: participants, organizers, volunteers and guides! We hope to see you again next year!